Ala Eh! 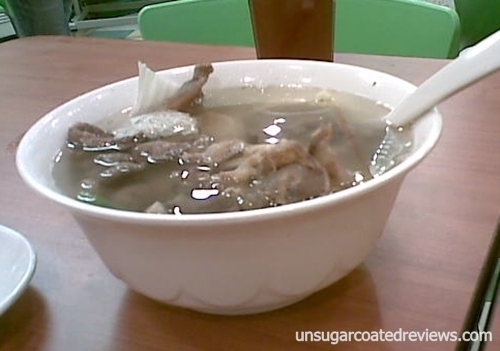 Bulalo in Munoz, Quezon City is a fastfood restaurant that serves Filipino food. It is located at the foot of the overpass near Waltermart North EDSA. 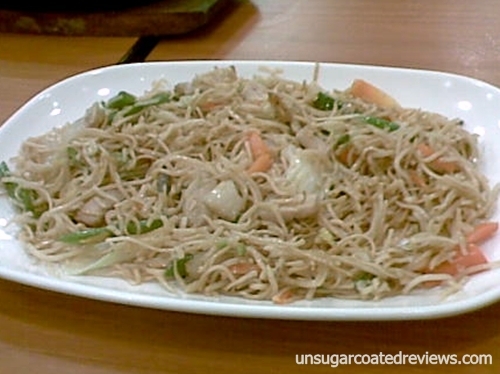 We ordered their good-for-two combo which consisted of Pork Sisig, Bulalo, Pancit Lucban, rice, drinks, and dessert. Being a fastfood joint, the food wasn't as tasty as the ones in more expensive restos but was good enough to satisfy our craving for sisig and bulalo that day. The food was hot and quick to arrive. 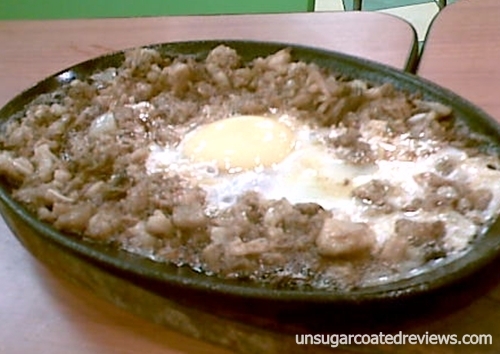 In our second visit, they ran out of pork sisig so I ordered Beef Steak Sisig instead. Bf ordered Bulalo GLP. I was contented with my sisig but bf did not like his bulalo GLP. According to him, the tripe (tuwalya) included in the soup was very tough and probably not so fresh. The combo in our first visit cost us P399. Portions of the sisig and the bulalo were big enough to fill us (two starving gluttons) up that I had to take the pancit home. In our second visit, our meal cost us P293. Ala Eh! 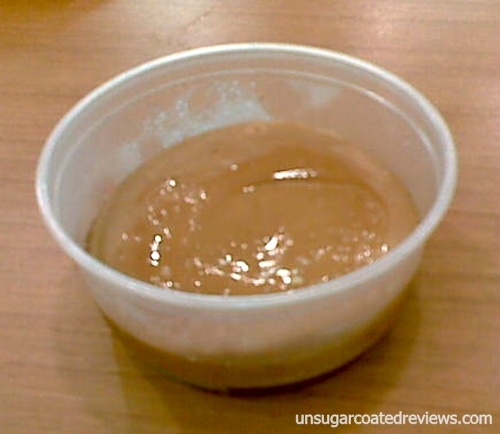 Bulalo offers other dishes which are even more affordable. More bang for the buck than the usual fastfood fare. 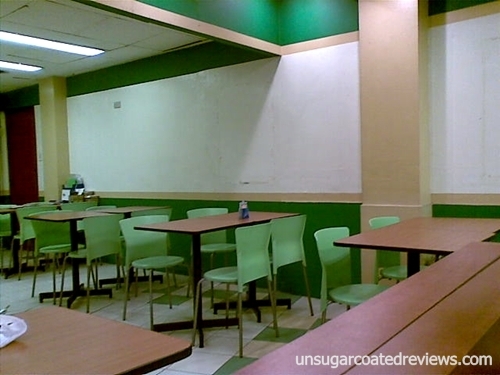 The restaurant has a simple and functional design, with splashes of green all around. I've heard from people in the food industry that you can't totally get rid of cockroaches. 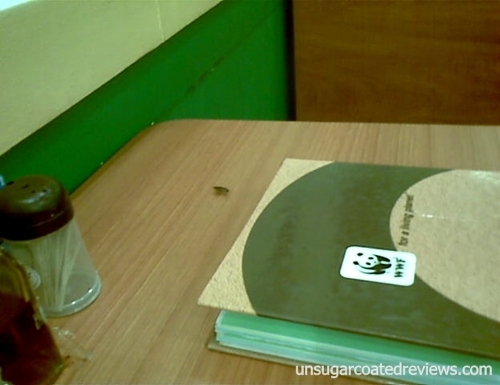 According to them, roaches are present even in expensive restaurants (I believe that since we have also encountered small roaches in Gloria Maris and Lamesa Grill). So personally, I found the presence of this baby roach in Ala Eh! 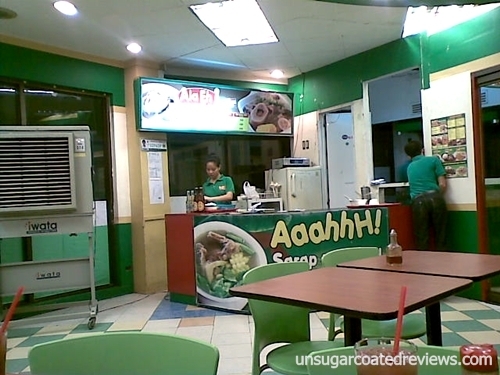 Bulalo forgivable, but the resto's owner/manager has to do something about it. Many people are not as tolerant. Oh well, at least Roachie came by when we were already through eating and it was just a small cockroach. If it were the other kind -- the big one that flies -- I would have been out of there in a flash. The service was good. The servers in both our visits were courteous and friendly. Our food also arrived quickly. May ipis na namamasyal. Anu ba yan! Five roaches that were in plain sight of the crew? That's too much. I would have been suspicious with the food. That's not an accident anymore, just plain disregard for cleanliness. Honestly, I agree, you can't remove them entirely. You can only manage them. Kahit sa bahay, sobrang linis ko na, no leftovers etc. Di sila totally nawawala. Although nabawasan. Roaches are signs that the management over-looked some cleanliness issues, maybe forgivable in one case but should not be a habit. My kids don't like having crawling insects anywhere near them, what more on their eating table. You're right. A one-time mishap is understandable but the problem should be addressed by the resto at once. Roaches I think are signs of cleanliness issue. Though sometimes at home it can't really be prevented even how tough we are on them. But on resto, I think this is improper, we may not know where they have been. those in the food business must be really extra particular with cleanliness and pest control. Those little roached are quite annoying. Unlike their bigger counterparts, they don't mind being exposed to people. Ala eh! I love green and this will surely attract me, hehe. This is my personal thoughts. Roaches appear everywhere, I agree on that... I believe, for sosyal restaurants, "some" have even more roaches than restos like this, sometimes they just look tidy and nice because of the ambiance and design of restos, well that's just mine, hehe. Grabe! If that were me, I wouldn't be as tolerant. It would still be an icky sight! I'm sure if there were critters like that in the area, there would be a possibility of food contamination or something. The worst that i've encountered such would be at kowloon house. There were like 3 to 4 cockroaches wandering on the glass of their food display. Eww! Yummy sisig! i miss that..for nowe I have to satisfy myself with frozen bangus sisig. 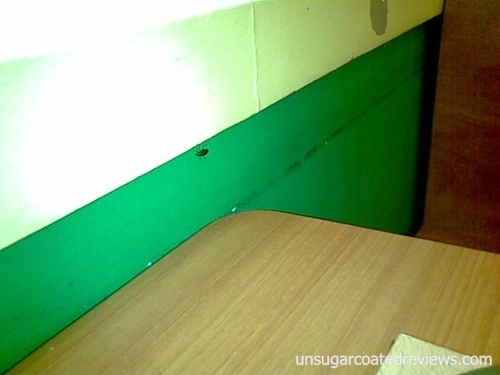 Yeah, you really can't get rid of the roaches but if they keep the place clean, hindi magiging visible yang mga yan. Pwede ding mabaho na yung basahang pinapangpunas nila sa mga tables or something. I have yet to try a bulalo other than what my mom cooks for me. With those roaches, they should keep the place as clean as possible, no excuses. I do not accept that reason na its always present. Yes they are around and it is their job to ensure that they are not seen by people. Cleanliness really matters a lot. All those food look really yummy. I'm quite tolerant to the lack of flavor of fast food restos too.. :) Same goes to cleanliness since I've experienced seeing small roaches even in expensive restos. And I definitely agree, the management should make sure they do better in keeping the resto clean.